Has the adoption of interconnected vehicle telematics reached a tipping point? With demand for telematics growing simultaneously among trucking firms and commercial auto insurers, the question of who chooses a telematics system arises. While trucking firms focus on mobile resource management and mobile diagnostics, insurers are focused on accident exposure and safe driving. 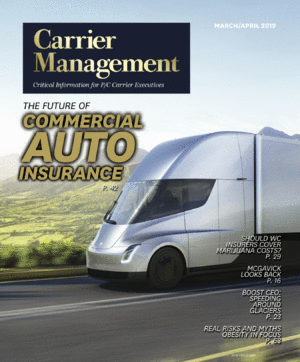 Here, insurers and telematics providers weigh in on the considerations for choosing providers and trends in usage. After some initial hesitation regarding the cost and capabilities of new technologies, by 2016 about 44 percent of trucking firms were utilizing some form of telematics in fleet management, according to a survey report by GPS Insights.